Ifakara Health Institute has the largest set of biospheres for studying the ecology and control of mosquitoes, anywhere in the world. 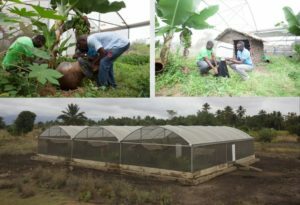 These facilities are designed to mimic the natural ecosystem of mosquitoes in disease endemic communities and are used for both research and training. The Mosquito City is located ~5km north of Ifakara town, in an area of ~105 acres. These megacorsoms have contributed immensely to our understanding of the ecology of malaria mosquitoes, and also to our efforts in evaluating current and new vector control tools. A fully equipped electronic climate station has also been installed within the Mosquito City. The main set of biospheres are located both in Kiningina area, just outside Ifakara town. We also have similar, facilities in our Bagamoyo branch. 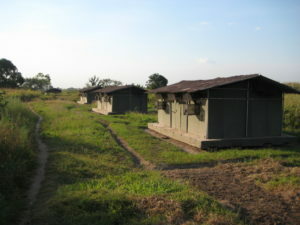 Ifakara Health Institute currently have more than 6000 square metres of screen house space, with different compartments, some of which have self-sustaining colonies of malaria vectors, for various research studies. At the Mosquito City, and also in our Bagamoyo Branch, we also have long marathon tunnels for studying mosquito behaviours in long range. 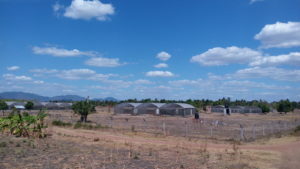 These tunnels are 110m long and 12m wide, and are primarily used to investigate mosquito host seeking behaviours over long distances, but in controlled settings.